Easy to use and offering every wardrobe essential, let them choose what they really want with the New Look gift card. With hundreds of new styles landing in store and online every week, you can always count on New Look for the latest trends. Shop women’s, men’s, teens, Curves (sizes 18-32), Tall, Petite, Maternity and Beauty in store or online at newlook.com. Online purchase When paying for your purchase at New Look select the ‘Pay with a gift card or e-gift card’ option on the ‘Select payment method’ screen and enter your e-Gift Card number in the ‘gift card number’ section and your PIN in the ‘PIN’ section. Any unused amount remaining on your e-Gift Card can be applied to future purchases. 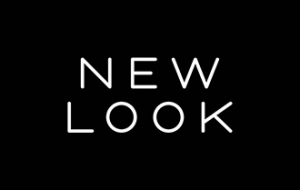 Shop www.newlook.com. In-store purchases Print this e-Gift Card page and take it with you to any New Look store. Gift Vouchers, Gift Cards and/or eGift Cards are not supplied on a sale or return basis and cannot be exchanged or refunded for cash. All intellectual property (patents, patentable rights, copyright, design rights, utility models, trade marks (whether or not any of the above are registered), trade names, rights in inventions, rights in data, database rights, rights in know-how and confidential information, and all other intellectual and industrial property and similar or analogous rights existing under the laws of any country and all pending applications for and right to apply for or register the same (present, future and contingent, and including all renewals, extensions, revivals and all accrued rights of action) and other rights in the Gift Vouchers, Gift Cards, eGift Cards and New Look name are the exclusive property of New Look and its group companies (any subsidiary, subsidiary undertaking or holding company for the time being of New Look or any holding company, subsidiary or, subsidiary undertaking for the time being of that holding company. Holding company has the meaning set out in Section 1159 of the Companies Act 2006) and may not be used by or on behalf of the customer without the written consent of New Look. Conditions of use for eGift Cards are available on request and can be found in the T&C’s section at Newlook.com; it is the responsibility of the customer to ensure that the recipient of an eGift Card is made aware of the conditions of use for eGift Cards prior to their use. New Look will hold any personal data (as defined in the Data Protection Act 1998) and customer data obtained in accordance with relevant legislation. Personal data will not be passed to any other organisation unless it is necessary to do so to fulfil obligations in providing the goods. Your data may be used to send you further information about New Look products and services. New Look shall not in any circumstances be liable for any consequential or indirect loss or damage suffered by the customer as a result of any breach by New Look of any of these Terms and Conditions. Breach of these Terms and Conditions will entitle New Look to discontinue supply immediately and seek legal remedy. These Terms and Conditions will supersede all others in the event of any dispute. English law applies to these Terms and Conditions and the parties agree to submit to the exclusive jurisdiction of the English courts. New Look is New Look Retailers Limited (Company Number 1618428) whose registered office is at New Look House, Mercery Road, Dorset, DT3 5HJ. New Look Business Solutions is a trading name of New Look Retailers Limited. The customer is the purchaser of the Gift Vouchers, Gift Cards and/or eGift Cards.